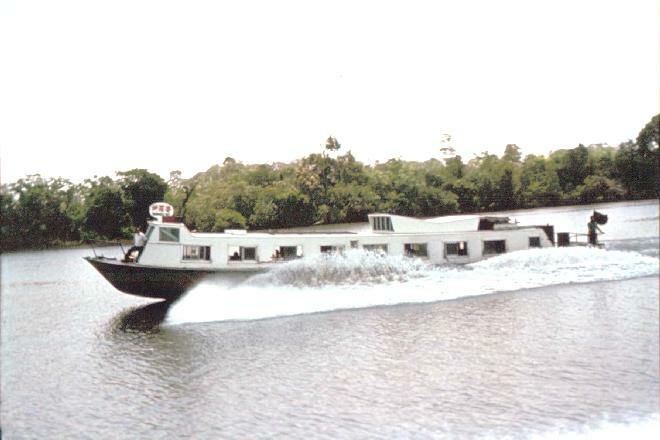 They told us at our job interview that there were not many roads in Sarawak, so the people got places by boat. I had a vision of a grimy wharf, spending hours finding one, and haggling over the fare. These launches were as big as a wide Greyhound bus with a hull. They were on time to within five minutes. The main cabin had comfortable benches, popular music on cassettes and air conditioning. You bought a ticket from the conductor.